Time For Some Skin Care Damage Control! Now that fall is officially here, it’s time to do some damage control on our skin! If you live in Texas, there is no doubt that your skin has experienced some of the negative effects from the sun’s powerful rays, so it’s time to correct that damage before it’s too late. 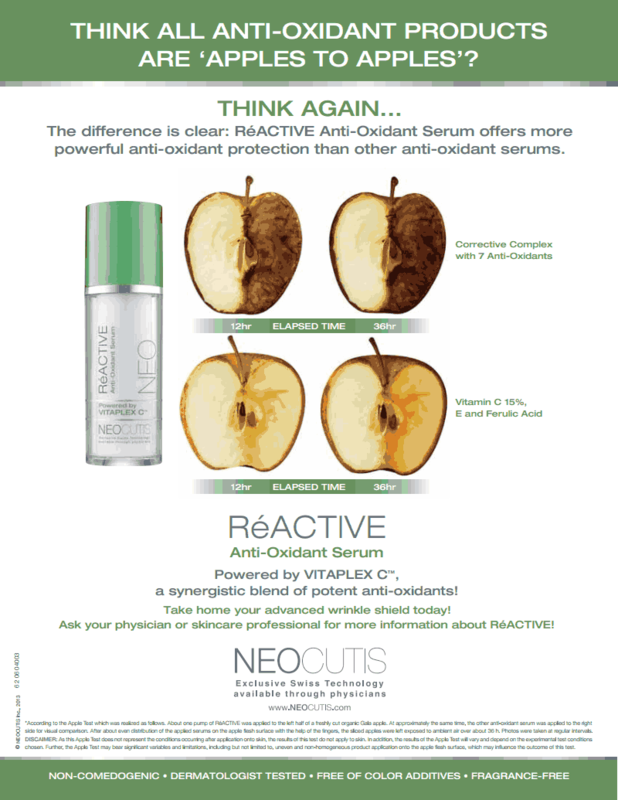 Antioxidants are key in cellular renewal, cellular turnover, and overall skin health. Our ReACTIVE Anti-Oxidant Serum offers one of the most complete anti-oxidant defense systems available to help neutralize free radicals and promote anti-oxidant regeneration. The clinical studies speak for themselves; when compared to other antioxidant facial products, ReACTIVE clearly provides more protection – just imagine what it could do for your skin! Since we’re doing summer sun damage control, it’s important to think about our internal health as well. 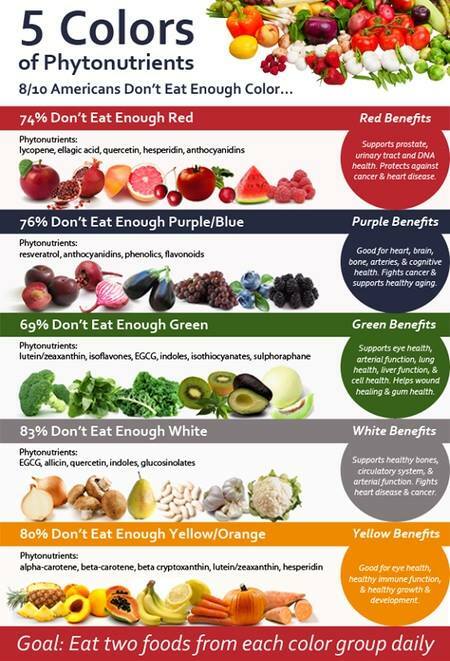 Are you eating the recommended 5-9 servings of fruits & vegetables daily? If not, you may not be obtaining all of the vitamins, minerals and phytonutrients to prevent aging and ensure good health. Phytonutrients are plant chemicals that give fruits and vegetables their distinctive color while providing internal protection from the sun’s harmful rays. When consumed, these plant nutrients confer health benefits to us. Be sure to cover gaps in your diet by taking Phyto-5 Phytonutrient Complex. Jump-start your skin care damage control! Right now at Sugar Land Plastic Surgery, purchase $300 worth of skin care, make-up, or vitamins and receive a FREE phyto-5 AND ReACTIVE Anti-oxidant serum! While supplies last, so hurry in! ← October is Breast Cancer Awareness Month!